One problem with standard poles is it can be difficult to transfer from the training ground to home or storage facility. These poles are telescopic so can easily fit into the boot space of most cars. 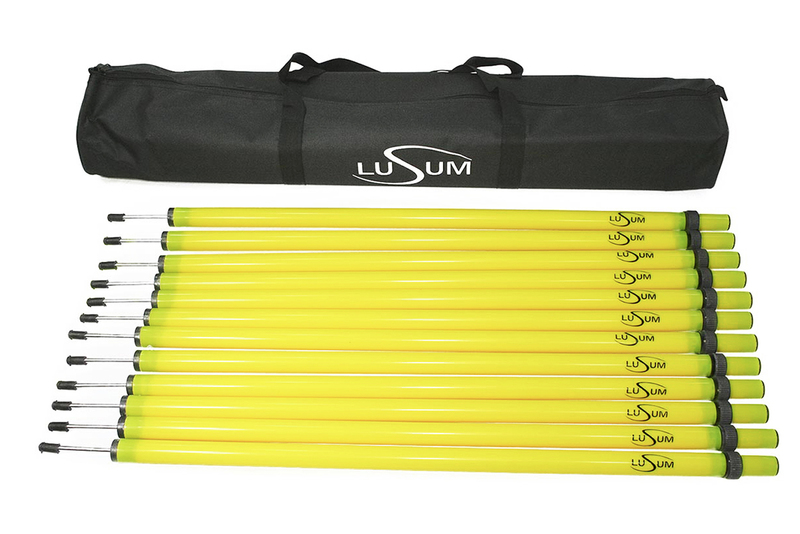 This Lusum set of telescopic poles includes 12 adjustable poles with ground spikes and protective plastic caps. They come in a heavy duty canvas carry bag. The poles are adjustable from 90cm to 170cm.